I’m on a roll……3 posts in 24 hours! Back with a bang. Last weekend I went to a rock concert. Three bands were playing – Dragon (a New Zealand band from the 1970’s- most of the original band members are dead either through drugs or cancer, leaving Todd Hunter as the only original, but lead singer since 2006 Mark Williams can still belt out all the old hits), Jefferson Starship (who used to be known as Jefferson Airplane) and Toto (who hasn’t heard their biggest hit “Africa”?). It was certainly a blast from the past for me – particularly seeing Toto and Jefferson Starship, two of my favourite bands from the 70’s/80’s. Yes they have aged….the voices aren’t quite as strong or evenly pitched as they used to be….but they were still damn good. New Zealand seems to be the place that old rockers come to die…..or at least to play their last hurrah. 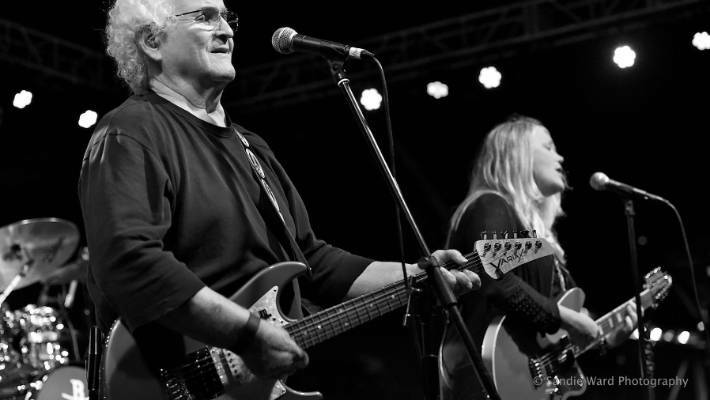 But lead singer/guitarist of Jefferson Starship – David Freiberg just keeps on a-rockin’. He’s now in his 80’s and frankly moves a lot better than I do. He has no plans to retire and as long as he can keep going and doing what he loves….why not? Freiberg started off singing in the coffee shops of San Francisco – that must seem like an eternity ago. San Francisco is still his home base. It’s great to still be able to see the hero’s of my teen years up there on stage, but sad to realise that many of them are now in their 70’s and in Freiberg’s case 80’s so won’t be around for too much longer. I’m wondering who will replace the superstar bands of my youth? The bands of today don’t seem to have the legs to last the years. How many of today’s superstars will still be rocking at 80? Meantime I’ll sit in my office, recline the chair, put an old vinyl 33 and a third on the turntable….Jefferson Starship’s “Freedom at Point Zero” maybe or Toto IV – close my eyes and let those years slide away. Long live Rock ‘n’ Roll and keep on keepin’ on!